Jesus indicated several times to Sister Faustina that the Feast of Divine Mercy should be held on the second Sunday of Easter. Stated in her “Diary”, “I desire that this image be displayed in public on the first Sunday after Easter. That Sunday is the Feast of Mercy. (No. 88). “I desire that the first Sunday after Easter be the Feast of Mercy” (No. 299). “…the first Sunday after Easter is to be the Feast of Mercy. On that day, priests are to tell everyone about My great and unfathomable mercy” (No. 570). 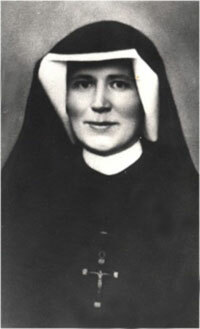 Before the Church confirmed the truth of Sister Faustina’s revelation, the notes in her “Diary” had no binding power. It was widely debated whether the second Sunday of Easter should be named the Feast of Divine Mercy. Those who were accustomed to the traditional understanding of this Sunday also known as White Sunday as the ending of the paschal event cycle were opposed to renaming it the Feast of Divine Mercy. They thought that the new name would change the character of this Sunday. 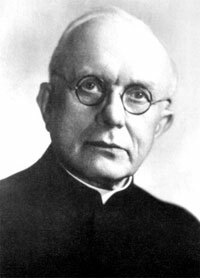 The most persistent proponent for introducing Jesus’s recommendations was Father M. Sopoćko, the confessor of Sister Faustina. He believed in the truth of these revelations and strived to support them theologically. He voiced his opinion many times on this topic before the Vatican II Council and after the introduction of the liturgical reform. 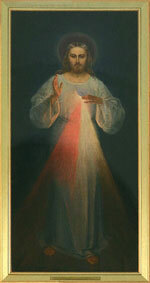 He reasoned that it was not so much the private revelations as much as the liturgical spirit of the said Sunday which calls for instituting the Feast of Divine Mercy on the second Sunday of Easter (The spirit of liturgy of the second Easter Sunday, in the book, “because His mercy is forever” (Poznan 1972, 377-392). John Paul II canonized Sister Faustina in 2000, instituted the Feast of Divine Mercy and spread it worldwide. The decree, which instituted this holiday, explains that it does not change the character of the second Sunday of Easter but merely emphasizes what it has always celebrated. In other words, instituting the Feast of Divine Mercy on the second Sunday of Easter is a part of the journey to the origins of the paschal mystery of Christ. Only in this light do the miracles and mysteries appear in all of their beauty and abundance. “Eternal Father, I offer You the Body and Blood, Soul and Divinity of Your dearly beloved Son, Our Lord Jesus Christ, in atonement for our sins and those of the whole world.” On the HAIL MARY beads you will say the following words: “For the sake of His sorrowful Passion have mercy on us and on the whole world.” In conclusion, three times you will recite these words: “Holy God, Holy Mighty One, Holy Immortal One, have mercy on us and on the whole world” (No. 476). It became a habit to recite this chaplet at three o’clock p.m. in accordance with the commendation “I remind you, My daughter, that as often as you hear the clock strike the third hour, immerse yourself completely in My mercy …for at that moment mercy was opened wide for every soul” (No. 1572). 9. The souls who have become lukewarm; (Diary No. 1209-1229). “On Good Friday, when Divine Mercy descended on mankind, revealed was not only the greatest ingratitude of man but also the brazen arrogance of the hangmen, who mockingly turned the dying Savior’s own words against Him. Therefore, it is mandatory to do reparation for this ingratitude and to initiate, at least privately, on this day a novena to beg for God’s mercy for the world by taking into consideration the various public prayers from Good Friday. Such a novena harmonizes perfectly with the liturgy of the last two days and the whole Holy Week. It makes it easier for the faithful to actively live through the opulent services of this period and to feel the spirit of the Church liturgy more deeply”. (The spirit of the second Sunday after Easter, in “His Mercy lasts forever” (Poznan, 1972, p.391).